Color/Markings: Liver Chestnut. White Star, strip and snip, ½ stocking on all four feet. Standing At: Blue Chip Farms, LLC. Owner of Record: Blue Chip Bloodstock, Inc.
Blue Chip Bloodstock imported Domino from Belgium in 2009 for Olympic Rider, McLain Ward, who trains and rides him. Domino is a beautiful and athletic son of Darco who is the World’s Leading Sire of Jumpers for an unprecedented Fifth consecutive year. 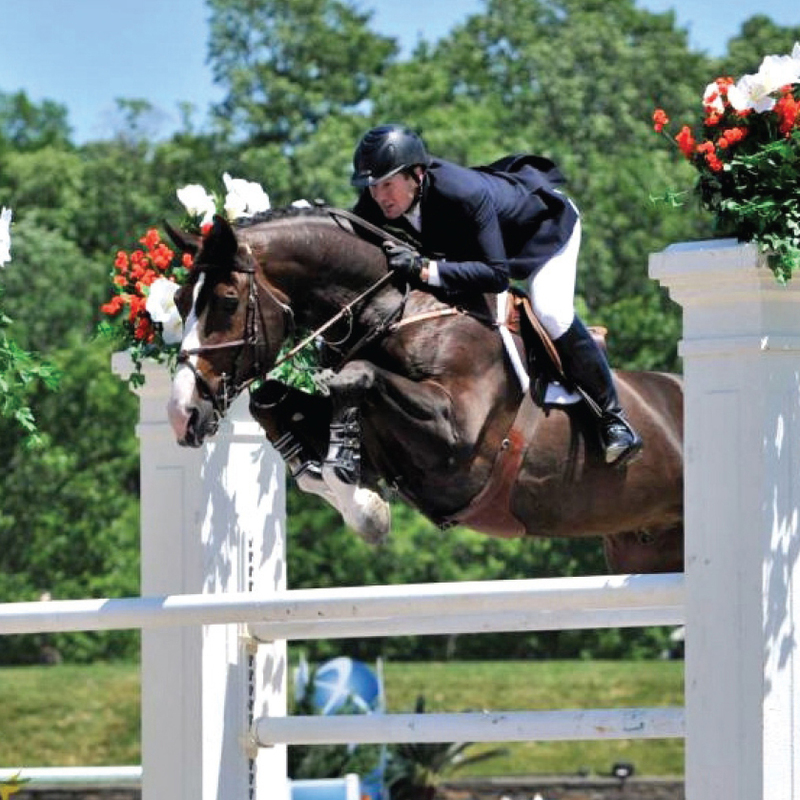 Darco has produced such Champions as the famed Olympic and International Grand Prix jumping mare, Sapphire, who is also trained and ridden by McLain Ward and co-owned with Blue Chip Bloodstock. Domino possesses not only tremendous scope and power but also speed as seen by his success in the Speed competitions. Domino won his first Grand Prix during 2011at age 8. Domino scored a record 90 in the jumping phase when inspected by the Head Belgian stallion judge in 2009. This is the highest jumping score ever received by any BWP Approved stallion standing in North America. Domino earned high honors of “Elite Status” with the BWP through his success in the jumper ring and by his production of high quality offspring. Domino is producing successful offspring at the annual Keurings with consistently high score foals, yearlings and 2YO’s. His oldest daughter 5yo “Lillion BC” is an E-Label mare that she herself produced a high score filly for 2015 by Cicero Z. Domino’s oldest crop are now 6yo’s competing successfully with both professionals and amateurs. Domino is now located back in Belgium for breeding.